Immigration detention is never in the best interest of a child. Yet, in Council of Europe member States, thousands of children wake up in immigration detention every day. The situation of these children is often out of sight and out of mind of Governments, lawmakers and the general public. The only way to bring immigration detention of children to an end is for policy makers to be fully aware and take action to change their policies and practices. Parliamentarians have the power to make this happen. It is thus vital for them to be informed about the effects of immigration detention on children, in order to become effective advocates for the end of this practice. Visits by parliamentarians can also have important deterrent effects and reduce human rights violations in places of detention. This guide aims to assist parliamentarians to monitor places where children are deprived of their liberty for immigration purposes, by providing information about how to plan such a visit, including useful guidance and checklists. 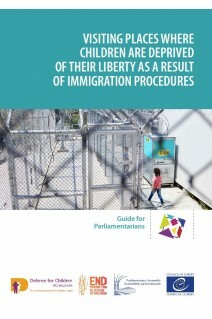 The Parliamentary Assembly of the Council of Europe launched a Parliamentary Campaign to end immigration detention of children, in order to strengthen the role of national parliaments in protecting and promoting the rights of migrant children in line with international and Council of Europe standards, and to promote positive and protective alternative practices to immigration detention. 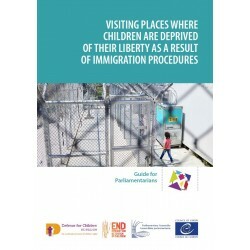 Taking a child rights’ approach, this guide complements the Parliamentary Assembly’s guide Visiting immigration detention centres, bringing an increased focus to the situation of children and the role of parliamentarians in this respect. a. How long are they detained? c. Why are they detained? d. When and how detention takes place? a. What should you check in a detention centre where children are held for immigration purposes?